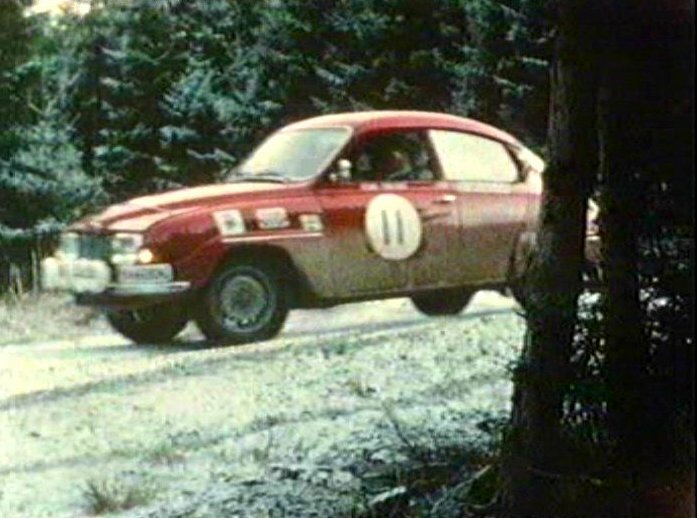 IMCDb.org: 1969 SAAB 96 V4 in "30 Years of the RAC Rally, 1991"
It is, called V4 to distinguish from the 96 two strokes that were phased out in 1968-69. 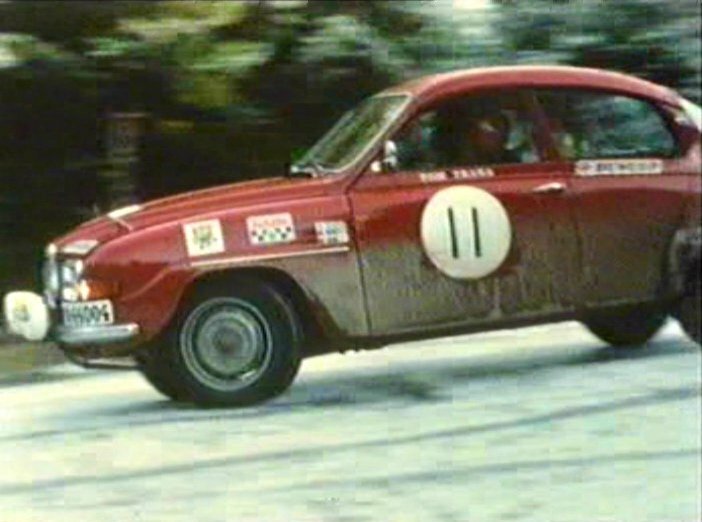 #11 1969 RAC rally Tom Trana/Söve Andreasson, finished 7th. 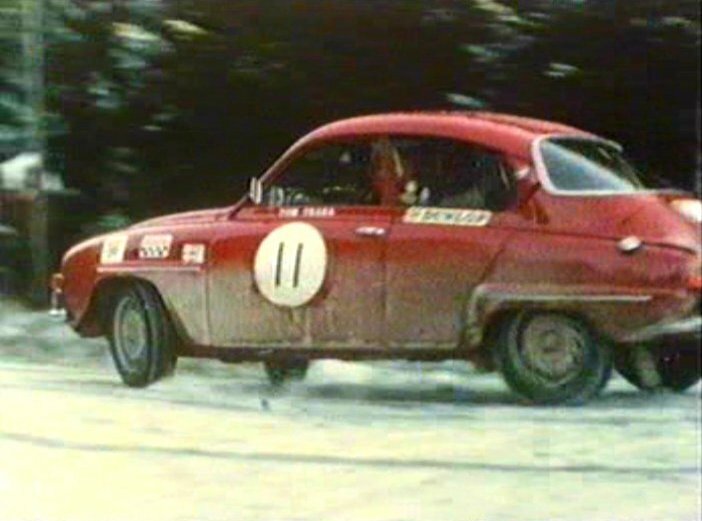 If 4th thumb is #19 it's Håkan Lindberg/Bo Reinicke, finished 5th. 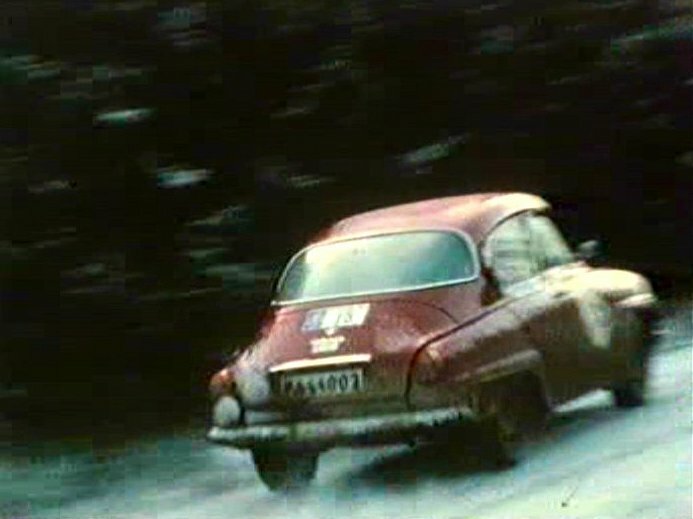 License plate PA44004. 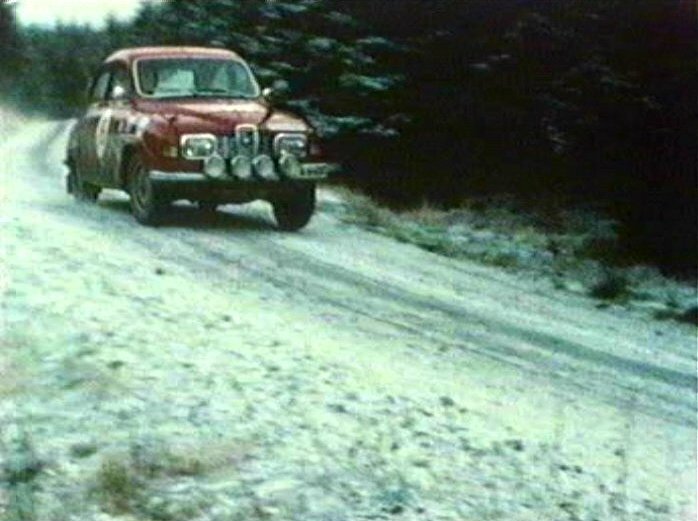 PA = Älvsborgs län.